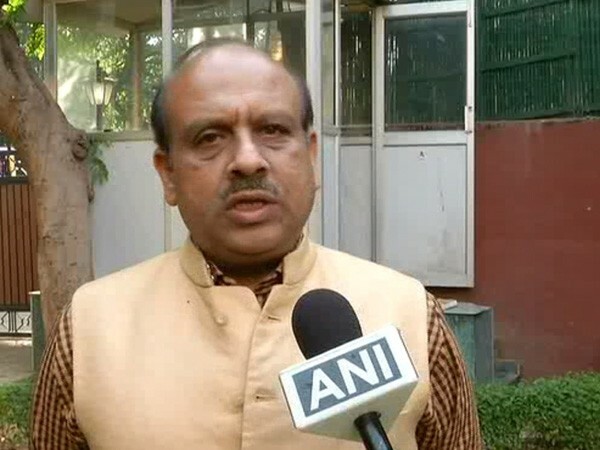 New Delhi (India), March 28 (ANI): Vijender Gupta, Leader of Opposition in Delhi Assembly on Thursday demanded a CBI enquiry into the alleged irregularities in the Delhi Waqf Board, headed by AAP MLA Amanatullah Khan. New Delhi [India], Mar 11 (ANI) Questioning the Lok Sabha election schedule, AAP MLA Amanatullah Khan on Monday alleged that the Election Commission (EC) fixed polling dates during Ramzan to favour BJP and said that it will arduous for those observing a fast to exercise their franchise. New Delhi [India], Jan 23 (ANI): Aam Aadmi Party (AAP) MLA Amanatullah Khan on Wednesday said that AAP will extend support to the Congress if the next Prime Minister will be from the Rahul Gandhi-led party. New Delhi [India], Nov 17 (ANI): The Delhi's Patiala House Court on Saturday granted anticipatory bail to Aam Aadmi Party (AAP) MLA Amanatullah Khan in connection with Signature Bridge scuffle case. New Delhi [India], Nov 7 (ANI): The Delhi Police on Tuesday booked Aam Aadmi Party MLA Amanatullah Khan in connection with the scuffle between the AAP supporters and Bharatiya Janata Party (BJP) state chief Manoj Tiwari during the inauguration ceremony of the Signature Bridge here on Sunday. New Delhi [India], Nov 6 (ANI): Delhi Bharatiya Janata Party (BJP) chief Manoj Tiwari on Tuesday wrote to Deputy Commissioner of Police (DCP) North East Delhi and filed a complaint against Aam Aadmi Party (AAP) MLA Amanatullah Khan, Delhi Chief Minister Arvind Kejriwal and unknown persons. New Delhi [India], Nov 5 (ANI): Bharatiya Janata Party (BJP) Delhi President Manoj Tiwari on Monday alleged that Aam Aadmi Party (AAP) MLA Amanatullah Khan tried to physically hurt him on Delhi Chief Minister Arvind Kejriwal's order. New Delhi [India], Nov 5 (ANI): Aam Aadmi Party (AAP) leader Amanatullah Khan denied allegations of pushing Delhi Bharatiya Janata Party (BJP) chief Manoj Tiwari to the inauguration ceremony of the Signature Bridge here on Sunday. New Delhi [India], May 16 (ANI): The police on May 18 will question Delhi Chief Minister Arvind Kejriwal in connection with the Chief Secretary Anshu Prakash alleged assault case. New Delhi [India], Mar 17 (ANI): The Delhi Police summoned two Aam Aadmi Party MLA's on Saturday in connection with the assault on the Delhi Chief Secretary Anshu Prakash.